Kidderminster is a town perhaps best known for its reputation as a producer of high quality textiles. 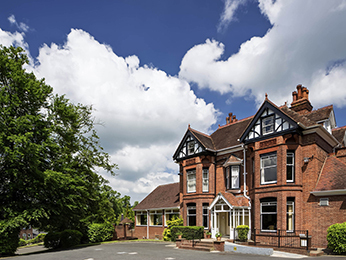 Make the most of your visit by taking your pick from our selection of hotels in Kidderminster below. The historic Severn Valley Railway terminates at Kidderminster and is often the scene of local events at the well preserved, historically accurate station. Also in the area is West Midland Safari Park, voted the Best Animal Attraction in the UK, as well as The Falconry Centre in nearby Stourbridge; perfect if you are visiting with children. The town is easily accessed via main roads, as well as through the Worcestershire Canal and via direct bus routes. Booking a hotel in Kidderminster couldn't be easier. Simply browse our selection of hotels below and choose one that best suits your needs. Booking online with AccorHotels offers a host of benefits, including our Best Price Guarantee and last minute and real-time room availability.